Posted November 26, 2014 by Tom Gilmore, The Tuam Herald in News. Work will start on the long-awaited Tuam bypass and the M17/18 motorway on January 15th. However it is still not clear whether or not the bypass will be opened ahead of the complete motorway. In early January machinery will start to roll simultaneously on the town bypass and at two other locations further south towards Gort. The completion date for the M17/18 is late 2018, but there is a possibility that the Tuam bypass could be opened earlier than the rest of the motorway. A precedent was set for this when the Newlands Cross section near Dublin was opened last week in advance of the rest of the N11 project linking Gorey and Rathnew. 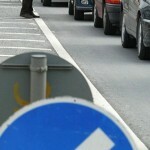 However, the National Roads Authority (NRA) would not be drawn on this. “When the time comes that will be up to the contractor regarding their works programme and it will depend on how they want to provide the infrastructure within their overall schedule,” said Sean O’Neill, Head of Communications with the NRA. 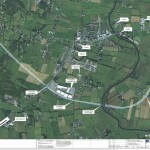 Proposed Tuam Bypass. Photo via Connacht Tribune. 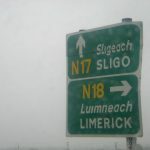 The N17 Tuam Bypass will run northwards from the Kilmore junction (near the N17 Business Park) as a dual carriageway around the west of the town with a junction at Ballygaddy Road before trying back to the N17 north of Tuam at Mountpotter on the Milltown Road. 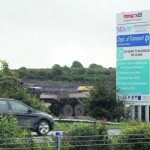 While contractual agreements usually mean that most PPPs are only open when the whole project is completed, it is expected that pressure will come on the Government to push for the opening of the Tuam bypass if it is finished earlier, and as it would also relieve traffic problems for work on the rest of the scheme. Catherine Blewitt, West Regional Business and Relationship Manager with the Industrial Development Agency (IDA) says the new motorway will make Tuam so much more accessible as “one of the biggest challenges for IDA in promoting a regional location to potential overseas investors in accessibility. 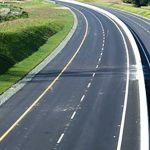 “We welcome that there is progress regarding the start-up phase of the new motorway and are delighted that the commitment has been given to this vital piece of infrastructure as once it is completed it will make Tuam, North Galway and South Mayo so much more accessible and integrated with the entire western corridor,” she says. The IDA official added that it is not just her organisation alone but others including Enterprise Ireland, tourism groups and others will benefit. “It is an essential piece of infrastructure for the entire West Region and is very much welcomed by all stakeholders working to promote the region for business investment and development. Accessibility is hugely important, not only to encourage potential investors to consider a regional location or town but also for the existing multinational companies based in the area who travel from their Irish base to visit customers, meet with their corporate heads and also in turn for welcoming corporate visitors and customers to the Irish facility. Also for local entrepreneurs who the local enterprise office in Galway and Enterprise Ireland support, the improved accessibility will make it easier for them to locate in regional locations and towns such as Tuam. Workers, too, who are now more mobile than ever, will be encouraged to move to jobs in the town if it has a good motorway structure leading to it,” says Catherina.